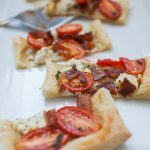 This Tomato Bacon Goat Cheese Puff Pastry Appetizer is the perfect pre-dinner snack when you’re hosting friends and family! It’s so quick to throw together and enjoy while dinner finishes cooking. 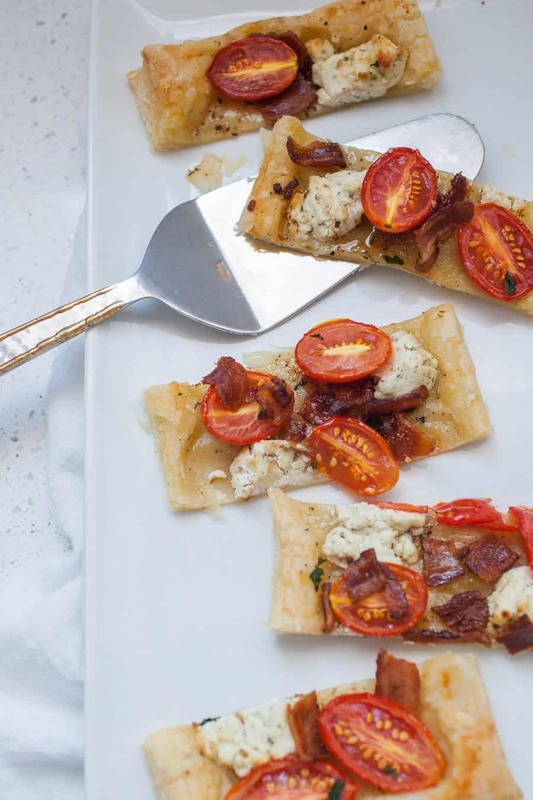 A simple frozen puff pastry topped with crispy bacon pieces, dollops of goat cheese and sliced grape tomatoes makes a quick appetizer that everyone will enjoy! It’s always interesting how ideas hit me sometimes. Sometimes I’m really trying to find a perfect recipe idea for some purpose and other times it’s just a matter of having ingredients on hand. This was somewhere in between those two. I had been wanting to share another easy puff pastry appetizer recipe, because they’re some of my favorites to share and eat. My mom has a huge garden in her backyard and even though this was the first year they have had it, they had an incredible abundance of crops. Specifically, they have had so many tomatoes. Ironically, no one in my mom’s house is particularly fond of tomatoes but they will occasionally enjoy grape tomatoes as long as they aren’t just raw. So after visiting her house one day, I came home with an entire gallon sized Ziploc bag full of grape tomatoes. These tomatoes weren’t just your average store bought tomatoes, they were huge! Most of them were about an inch or so tall. I had already eaten quite a few of them in a quick caprese salad and wondered how I could use up a bunch of the rest of them. I didn’t particularly feel like using them for a sauce, so I looked through the fridge and found that we had a puff pastry sheet, some goat cheese and some extra bacon we had cooked the morning before. 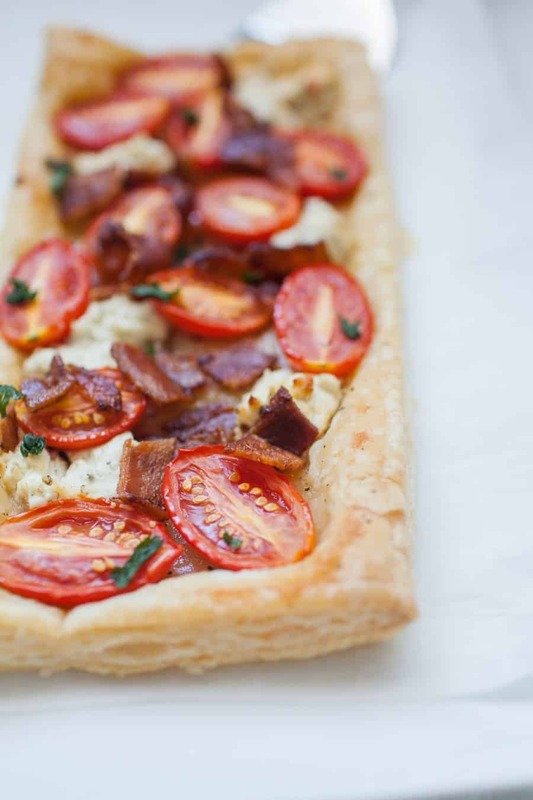 Now, is there any greater combination than bacon, goat cheese and tomato? Yeah, I don’t think so either. So this goat cheese puff pastry appetizer was born. I’ve mentioned before that I am a huge fan of pre-dinner appetizers. They’re what can make that pre-dinner hour totally manageable in our house. I love having quick appetizers like this puff pastry in mind because it can give my family or guests something to munch on while dinner finishes up. 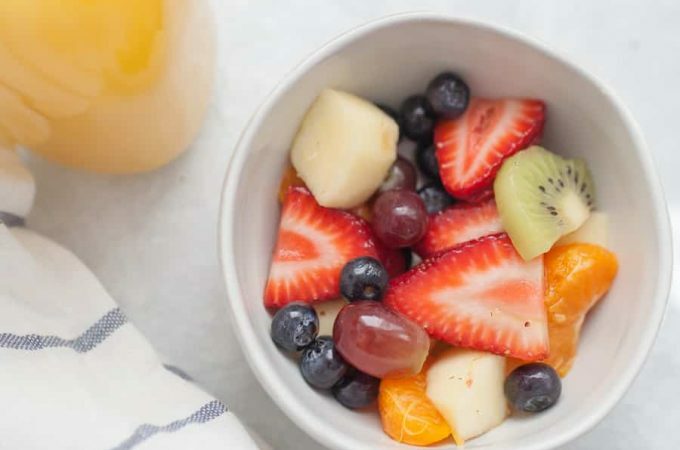 The nice thing about not sitting down to the dinner table completely starving is that you’re less likely to overeat at dinner. 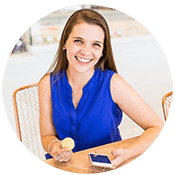 It’s a careful balance between snacking before dinner and eating too much that you aren’t hungry and just enough so that you’re not starving when you sit down to eat. 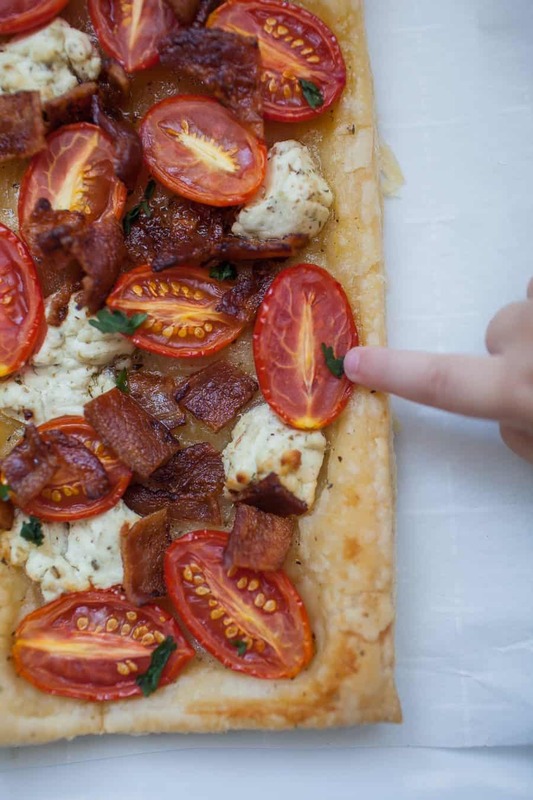 It may take a lotttt of practice, but if that involves this puff pastry, then it’s totally okay, right? Ready to make your own delicious goat cheese puff pastry appetizer? Scroll down for the how to! Using the pizza cutter, score around the edges of the puff pastry, about 1/4 inch from the edge. In a small bowl, mix together olive oil, honey, salt, pepper and[amazon_textlink asin='B01J8JH2XQ' text='Mrs. Dash No Salt Italian Spices' template='ProductLink' store='joyfullymadwp-20' marketplace='US' link_id='de9c72b1-6e3b-11e7-ab5f-092fcfba5252']. Brush mixture onto puff pastry, inside the scored edges. 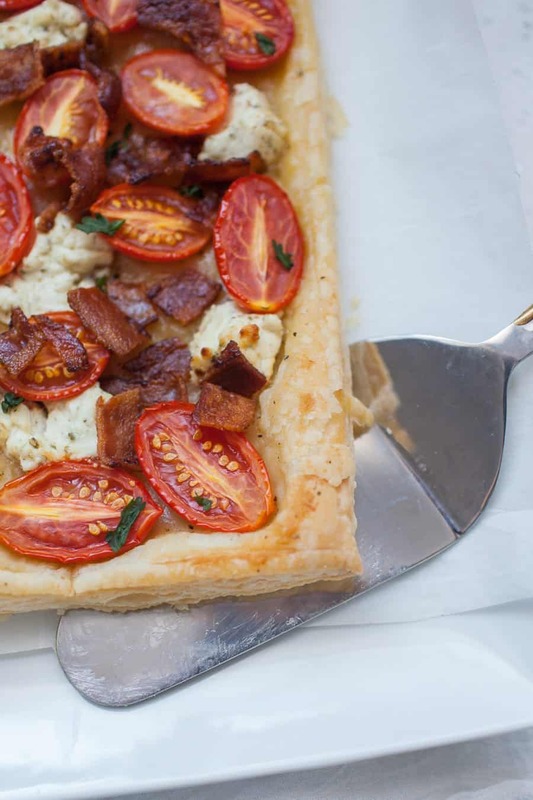 Arrange small spoonfuls of goat cheese, bacon crumbles and tomatoes around the center of the puff pastry. Bake for 20-25 minutes, until puff pastry is golden brown. 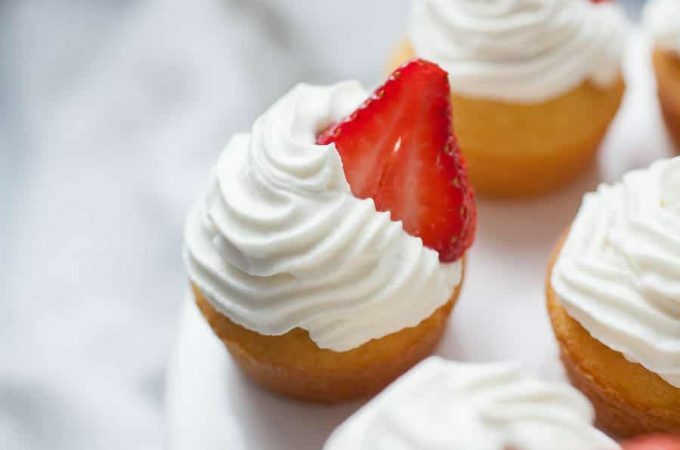 Cut into individual pieces and serve immediately! You can use cherry tomatoes instead of grape tomatoes, if preferred. Grape tomatoes are the oblong ones, cherry tomatoes are smaller and round. 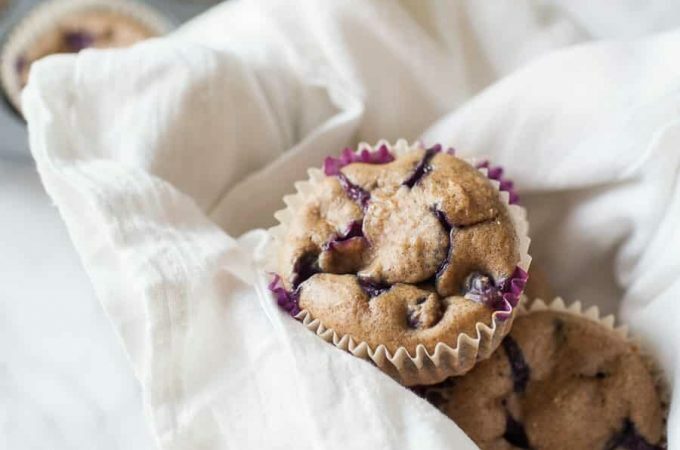 Save the second half of the puff pastry for a breakfast puff pastry the next morning or this easy dessert one! 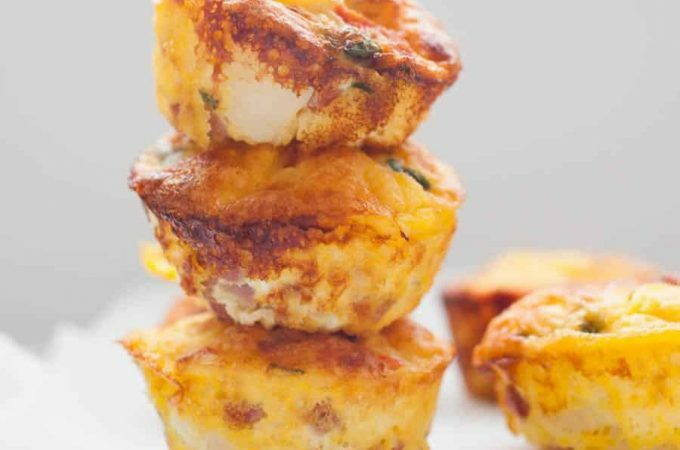 Regular goat cheese is fine for this recipe too, but I prefer the garlic and herb goat cheese for a more complex flavor. The light honey, olive oil base to this puff pastry is one of my favorite parts! It’s a base I have used on other puff pastry recipes in the past and I think it really makes the dish. However, if you want more of a truly savory appetizer, just omit the honey and use the olive oil part of the base. It’s still a great base for the puff pastry! I LOVE that you included the picture with Greyson’s finger. TOO CUTE!